I've been using SEO Quake since I bumped into this internet marketing and virtual assistant business venture. This tool is very useful when it comes to SEO or Search Engine Optimization tactics and strategies. If you are a SEO virtual assistant in the Philippines, you need this tool. 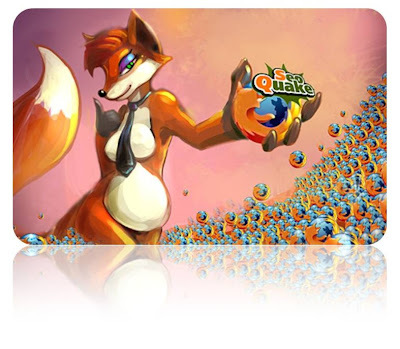 Try to install SEO Quake on your Firefox internet browser now. You will notice that in this tutorial, virtual business matters only discussed one tactic, and that is how to get the PR or PageRank of all the sites that appeared on your SERP. By the way SERP mean Search Engine Result Page. It doesn't matter it you're in Google, or if you are using Yahoo!, Bing, or any search engine sites. Here's the SEO Philippines Tutorial: How to Install SEO Quake on Your Mozilla Firefox Browser. Thanks for visiting this site. If you like this tutorial, please share it in your Facebook wall, or shout it on your Twitter, Google Plus or LinkedIn using the floating share buttons on the left side of this blog site or you may Click "LIKE" below the post title: SEO Virtual Assistant Tutorial: How to Install SEO Quake in your Firefox Browser. Thanks. For more tips and tutorials, please visit our Facebook page: Virtual Business Matters FB Page. For more tips and tutorial, please give us "FACEBOOK Friendly LIKE" Thanks in advance. Hi Damien, Thanks for dropping a line. I agree, SEO Quake is really a nice to have tool particularly for Search Engine Optimization purposes. I'm using SEO SearchStatus for Firefox. I usually check PR, Alexa and nofollow links so that works for me. There are also other options to activate in the context menu. Thanks for this helpful article, i always use firefox for my work because it have many options and easy to use therefore your article will help me get perfection in the usage of firefox browser. I am too into SEO and virtual assistant bussiness but never tried SEO Quake but thanks too your article i am gona try it..Thanks for the information. There is no doubt that SEO quake is very helpful tool and addons, it can help you a lot about website analysis, but i use search status, net craft etc.